‘You carry Mother Earth within you. She is not outside of you. Mother Earth is not just your environment. In that insight of inter-being, it is possible to have real communication with the Earth, which is the highest form of prayer’. When the request to write this piece came through, I was out walking. It was a day in early March, a few miles outside Glastonbury, in Somerset, England. It was one of those early spring days, when everywhere around you, you can feel the deep stirrings of new life. The light is different, the feel of the air on your skin is different, the smells are different and the sounds in nature are different. I clambered down through some woodland where the ground was littered with clumps of primroses – and aconite and wood anemone were scattered over the ground. Elder and hawthorn were beginning to leaf and blackthorn blossom was everywhere. I came out of the woods, onto what is locally known as the moors (large areas of grassland, once under water until drained by the monks of the abbey). Here the rhynes (the local name for the water filled ditches dividing the fields and draining the land) lined with willows, divide the moors into fields, where tiny lambs on wobbly legs cried for their mothers and ducks rose squawking in protest at the human invasion. At each of these moments I was filled with gratitude. As a creature who thrives in heat and sun, the winters are not an easy time for me, and each time spring returns I am full of awe at the magic of rebirth and have such gratitude both for its beauty and its promise. Then the message came through ‘would I write about prayer?’ My immediate thought was ‘But what is prayer?’ The images that instantly arose were those of kneeling in church, as a young girl, reciting words that had no meaning to me. But other images also came to me: lying in a hotel room in Delhi as dawn broke and hearing the call to prayer from the mosques around the city, a sound I find so haunting and so beautiful. 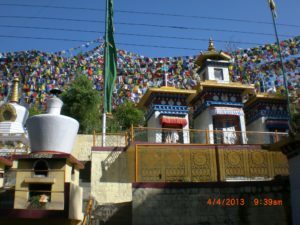 Many memories of Macleod Ganj came flooding back – the horns of the Buddhist monks calling all to early morning prayers, the Tibetans, with a few Europeans interspersed, walking the Kora, spinning the prayer wheels, their prayer beads moving through fingers and chanting prayers as they nod and acknowledge others of their community. And the elderly frail Tibetan lady who could barely walk, but repeatedly prostrated herself in front of the statue of Buddha in the Dalai Lama’s temple. I loved the informality of the ritual, with dogs joining in along with mothers with babies on hips, business men with mobile phones clutched in one hand, some in traditional Tibetan costume, others in jeans and trainers, young and old, male and female. It seemed like their prayers were as natural to them as breathing. I envied them that connection and comfortableness, so missing in the West. I guess that leaves me thinking that prayer is an individual thing, but ultimately a communication with the something else, whatever that may be for an individual. For me it’s the land, the spirits of the land, the divine. Years ago I came across a very lovely book with a title that inspired me Every Breath, a Prayer. Such a beautiful idea encapsulated in that title. David Abrahms in Becoming Animal talks about how the natural environment is always listening to us, and not just what we say, but listens to our energy, the way we move, the way we are. 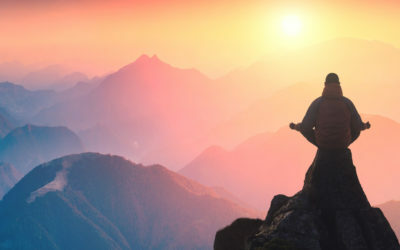 ‘The activity that we commonly call ‘prayer’ springs from just such a gesture, from the practice of directly addressing the animate surroundings. Prayer in its most ancient and elemental sense, consists simply in speaking to things- to a maple grove, to a flock of crows, to the rising wind – rather than merely about things. As such, prayer is an everyday practice common to oral indigenous peoples the world over’. And if we pay attention we too can hear the environment talking back to us. Undoubtedly some places on the land are more powerful than others, whether that is about the energy that is held in that particular place, or because our ancestors have worshipped there in the past, or for reasons of which we are unaware. 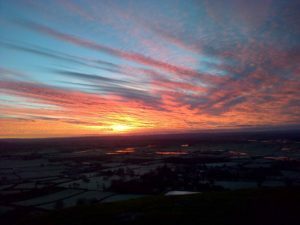 For the 23 years I have lived in Glastonbury, on the Solstices, cross quarter days and Equinoxes I have climbed Glastonbury Tor to watch the sunrise. Sometimes, this being England, the dark grey of pre-dawn merely become the pale grey of post dawn. Other times, the sky rewards with a myriad of awesome colours as a large golden ball slowly emerges over the horizon. Whether the sun honours us with its glorious display or not, there is something comforting about the steady cycle of the seasons and a time for giving thanks, for acknowledging our lives and the meaning they have to us, and for letting go of what no longer serves us. There are also those times when life just goes belly up, when to carry on, to move forward, ‘big prayers’ are needed (I suspect by us, rather than Spirit). 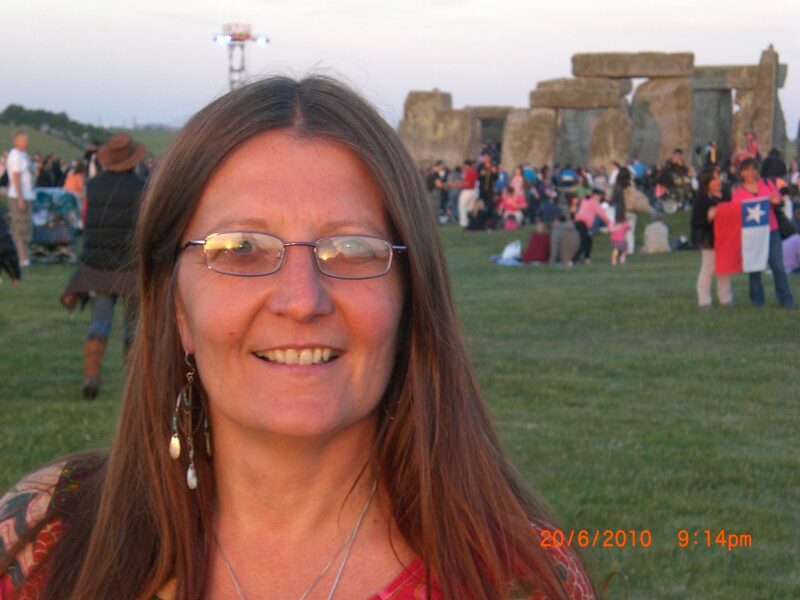 At these times one of my favourite places to go to is Avebury. There is something deliciously feminine about this ancient and beautiful sacred site. 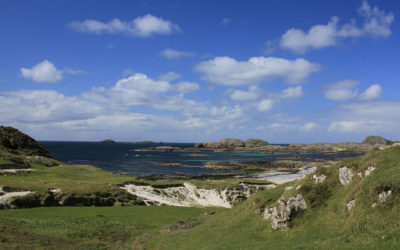 It’s a place of family outings and picnics and children playing amongst the stones. 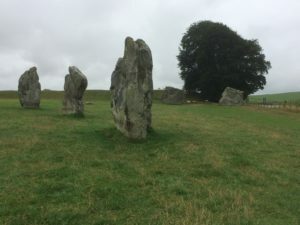 Here, it’s easy to connect to the ancestors and the Guardians of the place. Last year, just before the Autumn Equinox, I returned here. I had been forced by circumstances to return to England, to leave a place where for a few months, I had been living on the other side of the world, a place I had fallen deeply in love with. I was feeling let down by Spirit, cynical about my spirituality, disconnected and lost. I began my pilgrimage with prayers at the Adam and Eve stones, away from the main circle. Praying to find connection, for the support I needed and as always, with gratitude for this sacred place. As my prayer ended, one of the Guardians appeared and walked with me to the place where I had chosen to offer up my next round of prayers, asking for guidance and assistance in letting go of what no longer served me. As we walked down the ancient green lane, the Guardian gave me information on my own journey and on this place and its purpose. In my cynical disconnected state, my mind stepped in, telling me it was nonsense, just my imagination. But a sense of peace began to descend. A couple of weeks later, I was on a coach up to London. The woman next to me was an American who had lived in one of the places I had briefly inhabited in my time in the States. She told me her husband had just written a book on Avebury. The information he had gathered together, some previously unknown, was the information that the Guardian I had met had told me. A powerful reminder of the power of the prayer and the recognition that the connection was still there. On another occasion many years ago I came here to let go of a relationship that was no longer serving me. 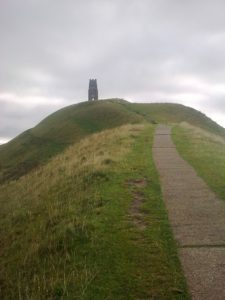 I arrived in torrential rain, and through torrential rain, walked up to Windmill Hill. Here on a burial mound I began my ceremony and gave thanks for the years of joy and love and asked for the support and compassion to end it kindly. As I began, the rain suddenly stopped. As I finished, one piece of cloud, slightly paler than the rest, peeled itself away from the dark mass overhead, and took the shape of an angel. As it floated past, I cried, knowing my prayers had been heard. On cue, the rain came down again in buckets. 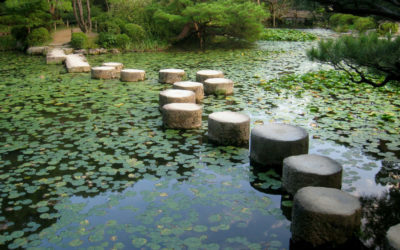 Prayer is important even for those who may not name it as prayer, or acknowledge there is anything ‘other.’ In my work as a psychotherapist, at the end of work with a client, I offer the option of creating a ritual to acknowledge what they are leaving behind. It has been surprising how many have chosen to kneel in front of the fire, offering up all those old habits and thought patterns, their pain and their grief, and ‘praying’ to the flames, for cleansing. At the end, so many have been surprised by the power of that. And in so many stories people talk of the times when they were in despair and asked for help, or for support and found calmness and the strength and courage to carry on. Although prayer may often be about thanks, I know at times my prayers have been about rage, about disappointment, about how I feel so let down by the divine, how I feel I have done what was asked of me, so why isn’t it easy, why hasn’t it worked out the way I expected? Sometimes answers come, sometimes they don’t, or at least not straight away. But when the pain eases, the anger fizzles out, there is undoubtedly a sense of being held, of the compassion that is there for any of us to call on when we need it. I sometimes wonder how different the world would be, if for every one of us, every breath was a prayer, a prayer of gratitude for our beautiful planet and all who live here, sentient or not? In our busy, busy Western lives, it’s difficult to remember, but maybe now more than ever, as our world at times seems to be consumed with fear and anger and hate, there has never been a time when it is more needed.